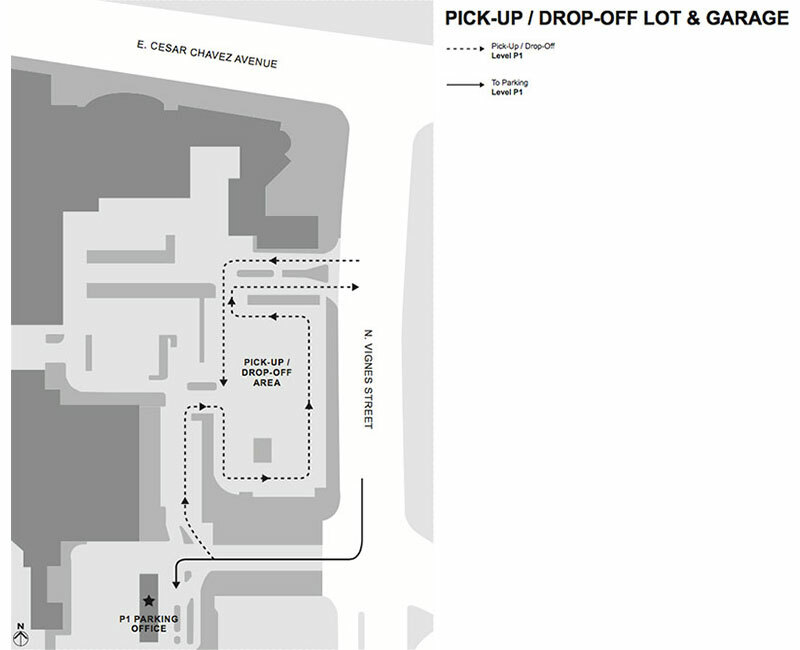 Overnight parking is available ONLY at the Union Station East parking garage. Additionally, parking a vehicle for more than three days requires the form below filled out and turned into the parking office. Maximum time allowed for parking in the Union Station East garage is 30 days. 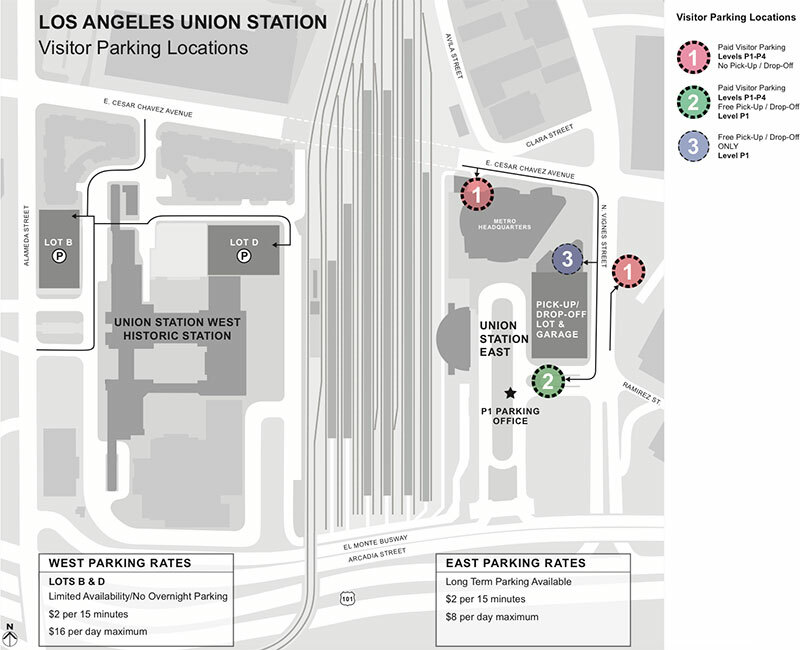 No overnight parking is available in Union Station West. Download, fill out and print the parking form below and bring it with you when you wish to park for more than 3 days. Long-term parking is available. Download the parking form above. EV Connect electric vehicle charging stations are also available in this garage on level P2 in Areas D and H.
Bike Parking The Metro Bike Hub offers 24/7 secure bike parking for daily long-term users and The Bike Center offers a bike valet for short-term visitors. 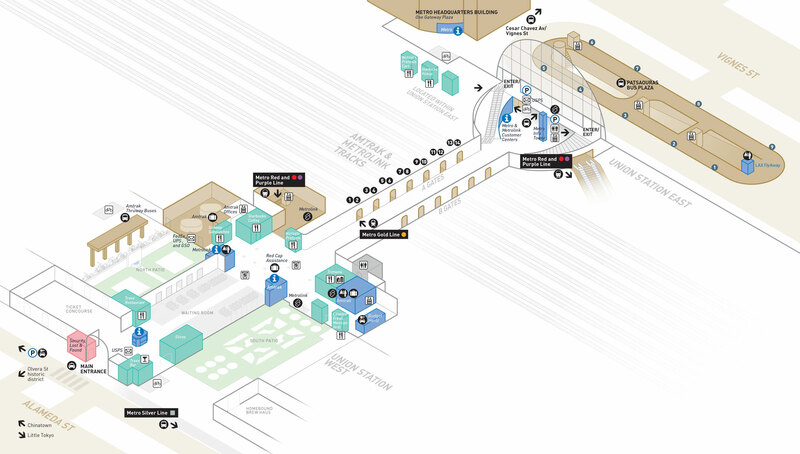 Enter your starting destination below, then click a method of transportation to get directions. The Bike Center, in the station’s North Arcade, offers a Luggage Valet for secure storage during business hours, M-F 8am-6pm and weekends 10am-6pm. First two hours $5 per item, two-four hours $7 per item, four + hours $10 per item. Luggage must be picked up by closing. Overnight storage will be charged $15 per item/per day.